As a university student, Luna Atmowijoyo prayed five times a day, refused to shake hands with men who weren't relatives and was "more fundamentalist" than her pious Muslim parents. But a decade later, Atmowijoyo has turned her back on Islam and is among a small number of atheists in Indonesia who live in fear of jail or violent reprisals from religious hardliners. 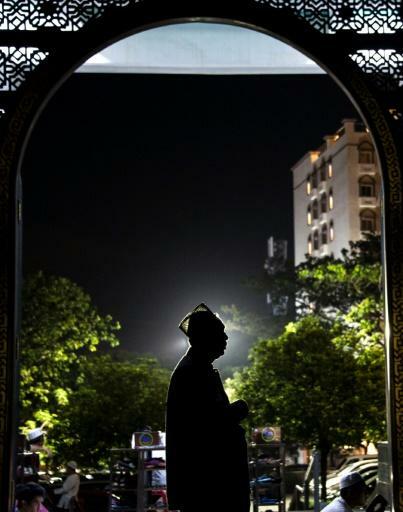 Leading a double life -- devout Muslim on the outside, non-believer on the inside -- is often the only choice for atheists in the world's biggest Muslim majority country. Atmowijoyo, who lives with her parents, still wears an Islamic headscarf to escape the wrath of an abusive father who knows nothing of his daughter's change of heart, which started when she was told to avoid friendships with non-Muslims. "A lot of simple things started to bother me," said the 30-year-old, who asked AFP not to use her real name. "Like I couldn't say Merry Christmas or Happy Waisak to people of other religions," she added, referring to a Buddhist holiday also known as Vesak or Buddha's Birthday in other parts of Asia. Treating gay people as abnormal was another problem and it soon became impossible for Atmowijoyo -- once a conservative Islamic party member -- to square the Koran's teachings with science. Then the unthinkable crept into her mind: God does not exist. The sprawling Southeast Asian archipelago is officially pluralist with six major religions recognised, including Hinduism, Christianity and Buddhism, while freedom of expression is supposed to be guaranteed by law. But criticising religion -- particularly Islam, which is followed by nearly 90 percent of Indonesia's 260 million citizens -- can land you in jail. This year, a university student was charged for a Facebook post that compared Allah to the Greek gods and said the Koran was no more scientific than the Lord of the Rings. He faces up to five years in prison. Alexander Aan was jailed for 30 months in 2012 for posting explicit material about the Prophet Mohammed online and declaring himself an atheist. The prosecutions fit a wider trend of discrimination against the archipelago's sizeable population of minorities, observers said. Authorities, however, insist atheist beliefs are not illegal -- as long as they're not aired in public. "Once somebody disseminates that idea, or the concept of atheism, that will be problematic," said Abdurrahman Mas'ud, head of the research and development agency at the Ministry of Religion. 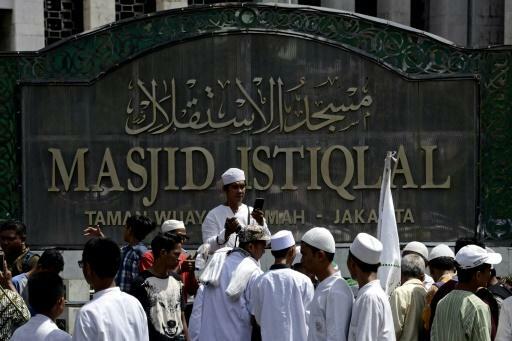 Two decades after the fall of dictator Suharto -- who kept the country running along secular lines -- conservative Islam has exploded into Indonesia's public life in lockstep with the rise of hardliners and religiously motivated violence. 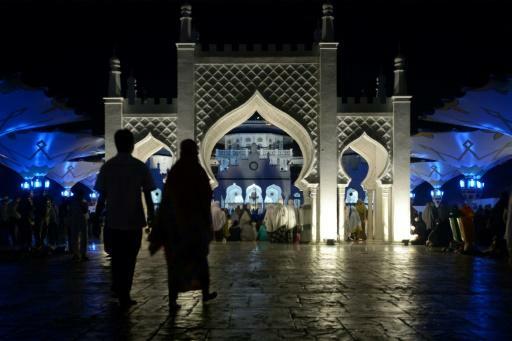 The country has grappled with Islamist militancy for years, including the 2002 Bali bombing that killed more than 200 in Indonesia's worst-ever terror attack. More attacks followed and this year, 13 people were killed in a wave of suicide bombings claimed by the Islamic State group that targeted Christian congregations. Buddhist temples have also been attacked, while this year an angry mob rampaged through a small community of the Ahmadiyya Islamic minority on the island of Lombok, destroying homes and forcing dozens of members to flee. Atheists interviewed by AFP said they worried that hardliners, encouraged by populist politicians, could turn their attention to them next. "The worst thing that can happen in Indonesia is we can be killed," said one 35-year-old graphic designer who was raised as a Catholic. "I genuinely fear for my life." Many apostates -- particularly those from conservative Muslim backgrounds -- assume two identities, like Atmowijoyo. "As long as they keep quiet there is not much risk," said Timo Duile, a researcher at the University of Bonn who has studied atheism in Indonesia. "That is the reason that most atheists I talked to prefer to stay incognito." No one knows how many atheists there are in Indonesia. While small groups hold regular meetings in large cities, most have sought out like-minded individuals online. The "You Ask, Atheists Answer" open forum on Facebook has nearly 60,000 members, and there are more like it online. Karina, based in Singapore, said when she found a private Facebook page for fellow atheists in her native Indonesia she finally felt she was "not alone". Atheists interviewed by AFP said they worried about doxxing -- publishing private information to identify users -- by radical Islamist cyber groups, which regularly make death threats. Indonesia is not the only Muslim-majority nation where non-believers face danger. Secular and atheist bloggers have been killed in Bangladesh, atheists have been threatened by government officials in Malaysia and jailed in Egypt. Indonesia, by contrast, is often praised for its moderate, inclusive brand of Islam -- but that is something many atheists say is no longer a reality. Karina said she was concerned about friends back home. "I?m quite worried about them." And even in Singapore, she felt she needed to watch her back. "I'm becoming more careful. I still post some critiques about Islam, but now it is more subtle."